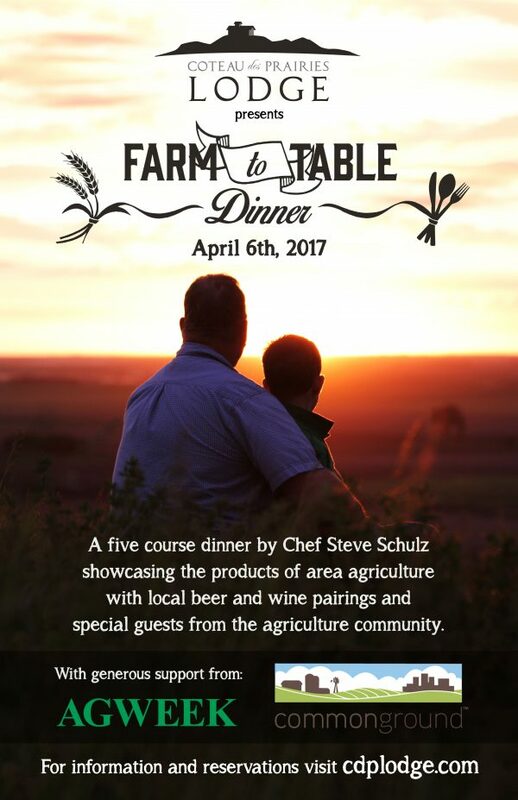 Coteau des Prairies Lodge presents Farm to Table Dinner on April 6th, a five course dinner showcasing the products of area agriculture with local beer and wine pairings and special guests from the agriculture community. The talented Steve Schulz, Executive Chef from The Toasted Frog (Fargo), has crafted an incredible menu sourcing foods almost exclusively from area producers. Local agriculture experts who specialize in soil health will be sharing their experiences from the field and explaining the importance of conservation. This is local. 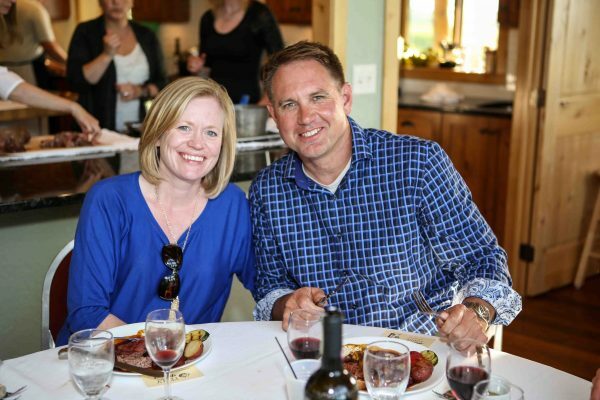 From the dry-aged beef that grazed the pasture around the lodge and the cheese made from the milk of our neighboring Veblen dairy cows to the trumpet mushrooms grown by a farm near Moorhead and the sunflowers processed in Wahpeton…we invite you to join us in celebrating our local farmers and ranchers! Caley Gasch is an Assistant Professor of Soil Health at North Dakota State University. She joined the NDSU Soil Health group in August of 2016, and she teaches and conducts research on soil ecology and conservation. In graduate school, Caley studied the recovery of rangeland soil and plant communities following coal and natural gas extraction in Wyoming. Prior to moving to NDSU, she studied soil water dynamics on dryland farms in the Palouse region of Washington and Idaho. Her current research spans North Dakota and includes managing soil salinity, reducing soil erosion, improving soil health, coal mine reclamation, oil spill remediation, and rangeland soil ecology. Nick Toussaint farms with his father and brother near Wahpeton, ND. They grow small grains, corn, soybeans, sunflowers, hay, and alfalfa in Richland (ND) and Wilkin (MN) counties. The Toussaints are committed to conserving their soil and improving soil health by reducing tillage, growing cover crops, and applying composted manure. They are an innovative group and have become local pioneers in trying new practices that benefit their soils, crops, and insect pollinators. Nick has been very active in the NDSU Soil Health Extension program, where he shares his knowledge and experiences with other farmers. Lee Briese has been working as an independent crop consultant in south central North Dakota since 1999. He currently provides agronomic advice for nine different cash crops grown on over 85,000 acres annually. Lee is working with growers on customized strategies to incorporate cover crops, reduced tillage and precision agriculture to address the challenges of soil degradation, pest management and economic profitability. He holds a M.S. in soil science and a B.S. in crop and weed science from North Dakota State University and recently began working towards a Doctor of Plant Health degree at the University of Nebraska-Lincoln. 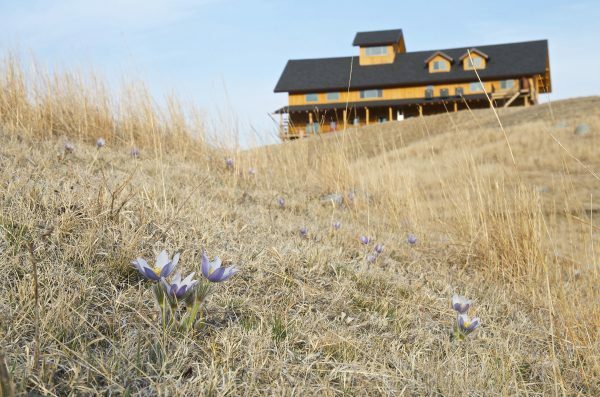 The event is on Thursday, April 6th Coteau des Prairies Lodge. Everyone is welcome, but space is limited and meals are available by reservation only. Alcohol will be served only to those over 21 years of age. The price is $70 per person. Wine and beer pairings are included in the price of the meal. Water and coffee will be provided. Sodas and additional alcoholic beverages will be sold at the bar. Doors open at 4pm, guests are welcome to come early, tour the lodge and enjoy refreshments served at the bar. When you arrive at the lodge, sign your party in with our hostess. Guests will be seated for the meal promptly at 6pm.